The increased visibility is invaluable. We have never enjoyed such a centralised overview of our bank data. Debt advice and debt solutions via the Gregory Pennington, Freeman Jones, Wilson Andrews and Think2Claim brands. The debt advice business, the subject of this case study, has enabled hundreds of thousands of people to tackle their debt problems and is currently helping over 50,000 clients get out of debt. The business manages about £1 billion of debt for its customers and processes over £100 million of repayments on their behalf each year. A certified Investor in People, Think Money Group, has made the Sunday Times ‘Best Companies to Work for’ list in each of the past nine years. It has also been awarded accreditation by the National Skills Academy for Financial Services, ‘in recognition of their excellent in-house training provision’. Prior to implementing an automated solution, the Group’s reconciliation processes were being carried out using Microsoft Excel. This manual and complex comparison between bank and general ledger reconciliation data was very time consuming and prone to errors. It was taking three days to complete each month’s reconciliation for ten bank accounts. Furthermore, the IT team needed to be involved in certain aspects of the process due to the volumes and complexity. Attempting to perform transaction reconciliation for hundreds of thousands of transactions on spreadsheets had become unmanageable and represented an operational risk. Then came along additional regulatory requirements. The Financial Conduct Authority’s (FCA’s) CASS 11 handbook (Debt Management Client Money Chapter) stipulating the need for daily bank account reconciliations, meant that the then current method was going to prove impossible without the injection of automation or additional staff growth. Reducing the time spent on reconciliations across the Finance Department. After several software demonstrations and Proofs of Concepts (POCs) delivered by each of the vendors being evaluated, ReconArt™ was selected as the most up-to-date, intuitive and flexible product on the market. It has been deployed initially in the debt advice and solutions area of the business. As the company favoured a solution installed on premise, ReconArt™ was deployed on the Group’s servers and is accessible to all users through a standard zero-footprint web interface. By deploying ReconArt™, the company was able to retain full control over its data in-house. 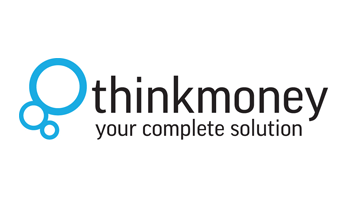 ReconArt™ is fully integrated with Think Money Group’s external Royal Bank of Scotland data feed and internal ‘Think Link’ systems and data sources. Simon Kay, CFO at Think Money Group. A fully integrated reconciliation platform available across all reconciliation functions. Automation of previously manual data matching processes with resultant lowered operational costs. Automation of the identification and resolution of exceptions which has ensured a reduction in operational risk to the business. This, in itself, has further driven down costs. Significant time savings as all data files are imported automatically into ReconArt™ in the early hours of the morning, thereby ensuring that what were previously manual tasks are completed prior to staff arriving into work. A smoother and faster period end close cycle. Think Money Group has calculated that, without ReconArt™, the company would have had to employ an additional two FTE staff to introduce daily account reconciliations as stipulated by the FCA. The cost savings for Phase 1 of the ReconArt™ deployment alone amount to in excess of £40,000 per annum. Phase 2 of the ReconArt™ project will be to automate the Finance Department’s remaining reconciliation processes. The company anticipates yet more significant staff cost savings and a recurrent and sustainable annual return on investment (ROI) that will be achieved once all reconciliations are available to the system. In the next 12 months we will transfer all of our other reconciliations from spreadsheets to ReconArt™. We anticipate that this will save the Finance Department a considerable number of staff hours in addition to the efficiencies already achieved. When considered, with the reduced risks and better visibility, implementing ReconArt will prove to have been a fantastic decision.